As the attention has turned to qualifying offers, the MLB off-season is officially in full gear. Tampa Bay and Seattle broke the ice with the first significant trade of the off-season this week. 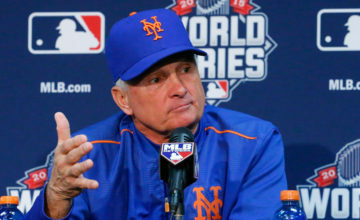 The Mets management is right back shortly after the World Series. Like every other team, the Mets have many important questions. Much of the uncertainty in the Mets plans will be the decisions by Daniel Murphy and Yoenis Cespedes to return to the club. Murphy has received a qualifying offer from the Mets for $15.8 million. It is likely that Murphy will reject this offer and become a free agent. The Mets have covered themselves by making the qualifying offer, guaranteeing a compensatory draft pick if Murphy signs with another team. Going forward, what will be the priority of the winter? Defense? Bullpen? Offense? The top two concerns will be the middle of the field and the bullpen. The World Series revealed the two biggest weaknesses of the Mets, bullpen and defense. Jeurys Familia had an all-star season, but the difficulty all year was bridging the gap between the starter to Familia. The trend over the years has been to strengthen the middle relief, combined with a shut down closer. It would appear the Mets have the shut down closer in Familia, but how much bullpen help is necessary? The priority should be acquiring a solid eighth inning man. Darren O’Day should be at the top of the list. O’Day is the versatile reliever that the Mets needed this post season. Robles should take a step next year after an impressive rookie season. Addison Reed seems to be comfortable in the seventh inning assignment. 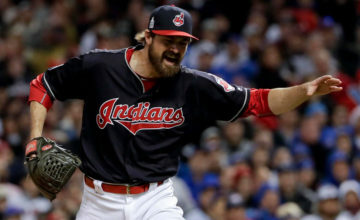 A lefty reliever will be necessary to round out the bullpen. Randy Choate would be a good left-handed specialist, but the more likely option is to bring back Blevins. Blevins should come at a very affordable price after a bad luck season with injuries. When Blevins was healthy, he provided the necessary production out of the pen when called upon by Terry Collins. The idea of shortening the game for the starting rotation is imperative. If a deal cannot be struck with O’Day, the Mets will need to look at trade options. Aroldis Chapman and Craig Kimbrel will be the main targets, but the price may be steep to acquire them. The middle of the field has a log jam right now. Wilmer Flores, Ruben Tejada, Dilson Herrara, Juan Lagares, and potentially Daniel Murphy & Yoenis Cespedes are the viable options. Each player possesses a glaring flaw, which prevents them from playing them everyday. With defense being so important in the middle of the field, the team will need to move Flores to second base and sign a legitimate shortstop. Recently, the Chicago White Sox non-tendered Alexei Ramirez. This is a player that was on the Mets radar last off-season, but was coming off a career year. Ramirez produced a less than stellar season in 2015, which led to his departure from the White Sox. Ramirez would be an affordable option for the Mets, while providing above average defense and a quality bat. Ramirez is not a middle of the order hitter, but will provide better production than the Ruben Tejada and Wilmer Flores combination. 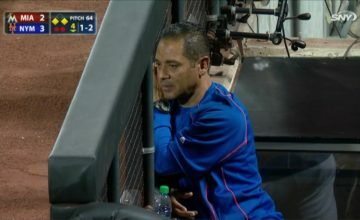 Flores will be allowed to settle in at second base and produce 15-20 homeruns. In centerfield, Lagares has proven to be a part time player. Following the Chicago theme, the Mets will take Dexter Fowler from the Chicago Cubs. Fowler is a steady leader in the clubhouse and can provide the Mets with a pure leadoff hitter. Granderson can slide into the two-hole depending on who is hotter at the time. Fowler is an above average defender that can provide some pop to the lineup, while portraying the prototypical leadoff hitter qualities. Lagares will have the opportunity to play a lot as the fourth outfielder to spare Conforto and Granderson. These three players will solidify the Mets in their defense of the National League title. None of these free agents will break the bank, which is a key with ownership. With the expected growth of Conforto and Flores, this lineup will be more versatile and dangerous. The starting staff will continue to be the strength of the team, but will now be well protected by the bullpen. 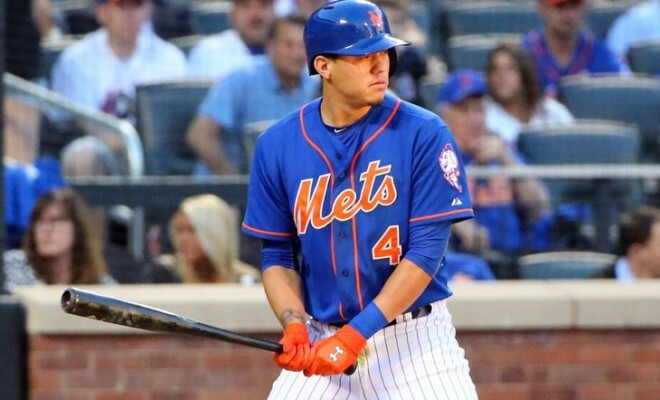 ← Previous Story Can the Mets Improve Their Defense in the Offseason?